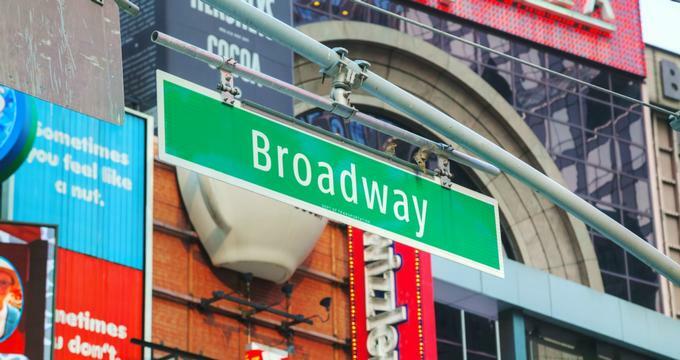 If you love theater, then you definitely love Broadway. This also means that you already know that there is a multitude of Broadway and off-Broadway shows out there that are worth watching. In fact, there’s so many of them you probably won’t be able to watch them all. If anything, the bigger problem is the rising cost of tickets, considering how popular these shows can be. The good news is that you don’t always have to break the bank when buying tickets to these shows. There are a lot of discount Broadway tickets out there if you just look hard enough and, more importantly, if you know where to look. With the help of modern technology, and a bit of luck, you’ll find yourself scoring cheaper tickets to Wicked, Hamilton, and other Broadway hits. You just need to go through all your options, whether it be online sales or lotteries. Lotteries – You might wonder how lotteries have anything to do with scoring a discount with Broadway ticket prices, but they do when you’re lucky. The lotteries will either be personal or digital. In-person lotteries take place around 2 hours before the Broadway show and you’ll have to put your name in a bucket. There will then be a draw of names, who will then be awarded these seats. It’s important to remember that you have to be present when your name is drawn or else you forfeit your chance. The digital counterpart works similarly, except that it’s done through a mobile app like TodayTix. If you’re lucky, you can score tickets to Hamilton for only $10. The good thing is that these digital lotteries have become so popular that they have since offered twice as many tickets than before. Apps – For one reason or another, some people can purchase cheap Broadway tickets via mobile apps like TodayTix (aside from the fact that this one in particular has lotteries you can score tickets). After purchasing your tickets from the app, you’ll find agents who will come out of the theater to deliver the tickets to you in person. The only catch is that these apps only start selling when the performance dates are close. You’d have to wait until about a week prior to the performance dates before you’ll find anything. And you can bet that you won’t be the only one waiting for these tickets to go on sale. The other catch is that not all shows will tap these apps for selling discount Broadway tickets. TKTS – If you’re the kind of person who can find the time to see a show, you might want to try getting tickets at one of New York’s TKTS booths. The one in Times Square, which happens to be the most popular, was renovated back in 2008 and now has a row of glass steps. There’s another one at Lincoln Center, which is the newest. It’s run by the Theater Development Fund, which is a non-profit performing arts group. They usually offer tickets for all kinds of Broadway and off-Broadway shows scheduled on the same day or the next day, usually at half the original price. The downside is that they might not have tickets for really big shows like Wicked or Hamilton. In any case, you can get their real-time listings online through their website or the TKTS mobile app. Every booth has its own set of listings, so be sure you know which one you’re going to. You’ll be happy to know that you don’t always have to line up at these booths. TKTS also offers special discounts to TDF members. These are special discounts that are given to special groups like members of the armed forces, retirees, teachers, union members, etc. Rush and Standing Room Only Tickets – Most shows offer rush seats on the same day as the performance. These are discounted and offered to students who have a valid ID. Meanwhile, Standing Room Only, or SRO tickets, offers seats at the back of the theater and these are available when the show is sold out. Sites like Playbill.com constantly updates a list of shows offering these tickets online, covering both Broadway and off-Broadway shows. Before buying, you might want to get a good idea of how rush ticket policies work so that you can make the most of them. Papering – This one’s like a secret that everyone knows but is otherwise a legit way to get discounted Broadway tickets. When theaters have tickets that aren’t sold, they look to fill these seats by selling the unsold tickets at a cheaper price. Audience Extras and Play by Play are two of the most widely known providers of these services. You just need to get a membership, costing a little over $100, and from there you’ll get access to heavily discounted and even FREE tickets to the shows that will be showing on that day. Playwright Discounts – Students and professional writers who are part of the Dramatists Guild get discounts. This is a national association whose membership of more than 7,000 is composed of playwrights, lyricists, composers, and more. They get tickets for free out of those that aren’t sold for a show on the same day. Of course, these are subject to the guidelines set by each theater, but once you’re in and know how, it’s easy to get those tickets for free. Age discount – Okay, this might not be for everyone, but if you’re between 18 and 35 years old, you might be able to take advantage of the discounts offered by the Roundabout Theatre Company. You can get this by joining the Hiptix program, which will net you tickets worth $20 or $25. There’s also Lincoln Center Theater, whose LincTix program sells tickets to people between 21 and 35 years old at $32 each. The takeaway is that there are a lot of companies who offer special discounts for people of a certain age group. Think you’re out of luck with scoring tickets? Think again. Try the suggestions above and, with a bit of luck, you might just be able to watch amazing Broadway and off-Broadway shows at a much cheaper price, if not for free.